The ageing of the population in Viet Nam will have significant implications for all sectors in the economy. It requires governments of all levels to undertake a leadership and facilitative role, to ensure people in Viet Nam are able to live healthy, active and fulfilling lives through their life-cycle. While the concern is mainly the older population, ageing in itself is beginning to affect everyone. Therefore, responding to population ageing doesn’t mean addressing the expectation and needs of older population only, but it will require a more comprehensive approach to address the need of all population groups in preparing to an aged future. Yet, Viet Nam’s current policies relating to ageing is mainly to deal with issues of older persons, while what the country need is an ageing policy rather than policy on the older persons. There is a need to understand the current situation and clarify how best to advise government in the development of their national policies and action plans on ageing. Under the UNFPA’s supported project VNM9P03 to the Government of Vietnam on “Support Viet Nam agencies in providing and utilizing quality population and development data and evidence to develop and monitor socio-economic development policies, strategies and plans, and sustainable development goals in Viet Nam in the period 2017-2021”, a consultant team of one (01) international consultant as team leader and two (02) national consultants as team members (1 team researcher and 1 team assistant) will be recruited to undertake this assignment. UNFPA Vietnam Country Office (CO) is looking for a qualified and experienced international consultant for developing a policy discussion report to provide analysis and recommendations for Vietnam on a framework of national policy responding to ageing while two national consultants will be recruited by the Vietnam National Committee on Ageing (VNCA). Share the draft Outputs with UNFPA and VNCA, make revisions and finalize the report based on feedback received from UNFPA and VNCA. To present the final report at dissemination workshop. Under the guidance of the team leader, to develop a presentation of the final report to disseminate at relevant policy fora. Carry out other support works as assigned by team leader. 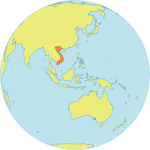 Understanding of economic, social, political and cultural context in Viet Nam.